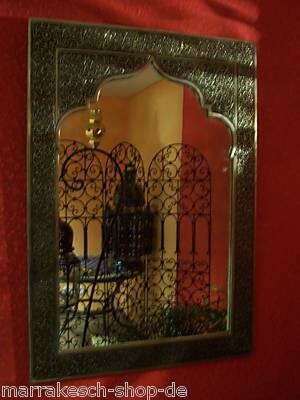 These mirrors are made ​​of brass, produced in laborious hand work. 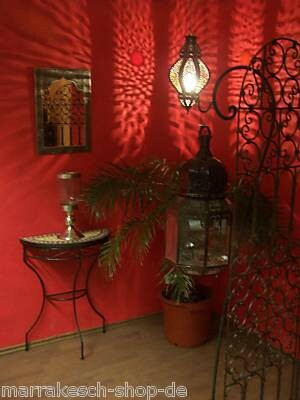 You can expect 100% hand-worked materials in our individual mirrors from Marrakesh in the Oriental-Moorish or Mediterranean style. 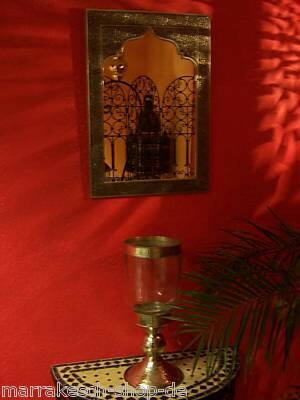 These mirrors are made of brass and have been manufactured in painstaking handwork. 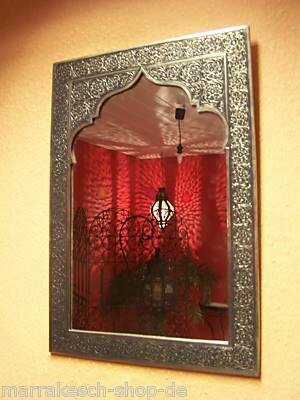 This unique mirror is decorated with a very intricate pattern with the aid of the hammer-beating technique. This technique is a handicraft art which requires a lot of time, patience and particularly a lot of experience. 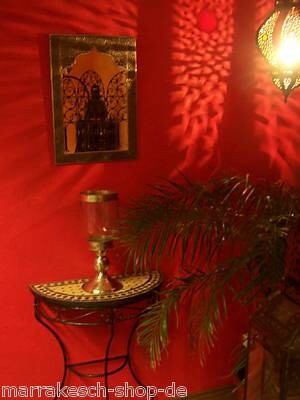 Look into the mirror as a window to the old oriental culture. Suspension device is provided on the back.